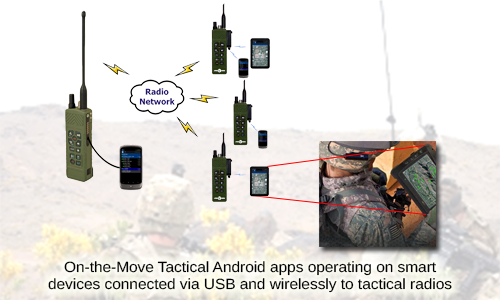 On-the-Move tactical applications provide radio and waveform network status and visualization tools. The apps provide status for the SRW network, display parameters such as SRW neighbors, adjacent nodes, island heads, and nodes reachable via 1 or more network hops, and provide PLI message completion rate. 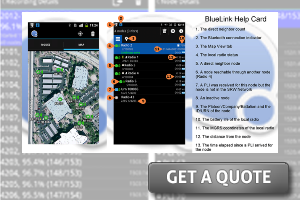 On-the-Move Tactical Android apps are a low cost, easy to use solution enabling superior communications to tactical radio users.